Taylor Tiller, 10, sits with her her father, Tyler. 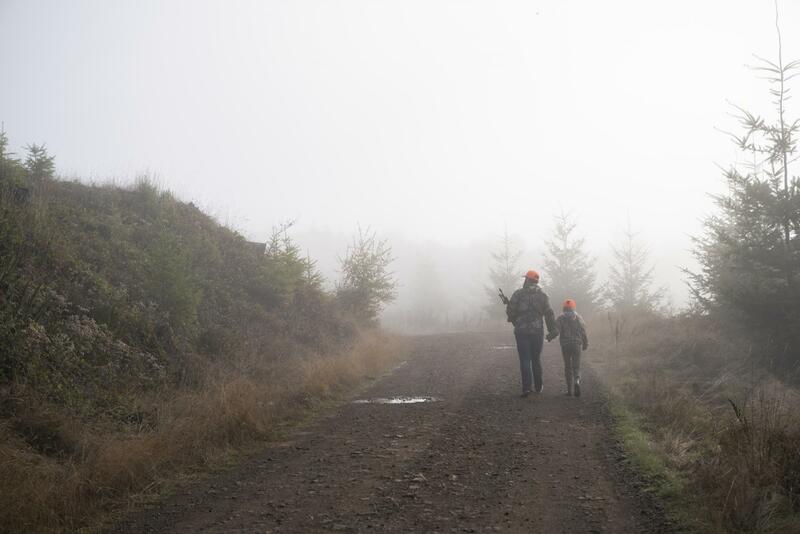 Hunting trips are a family tradition and a way for Taylor to learn about responsibility, the environment and self-confidence. Tyler Tiller and his 10-year-old daughter, Taylor, sit perched on a log overlooking a fog-encased forest below. They're just off a mountainous dirt road in western Oregon. 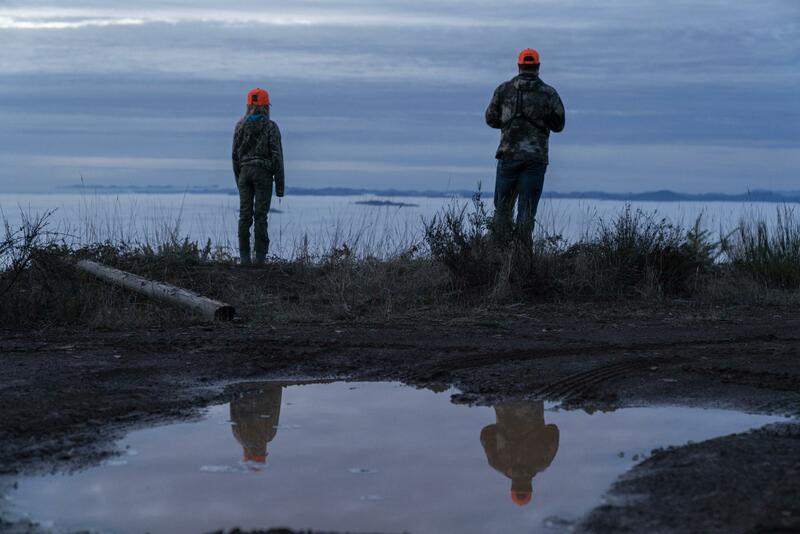 The sun is setting and with it, their last chance to shoot a doe this season. Far more important Tyler says is “just spending that time with each other in the outdoors and just really being able to have an opportunity away from everything to bond on a different level." While the loudest voices in the gun debate argue about background checks and high-capacity magazines, for many of the 11.5 million hunters in the United States, guns and hunting represent something different: a family tradition and a tool to teach young people about responsibility, the environment and self-confidence. Taylor Tiller, 10, takes target practice with her father before heading out on a father-daughter hunting trip. The duo keep an eye out for signs of animals through the fog, occasionally stopping to inspect deer tracks or droppings. Except for some brief fog, it’s a perfectly clear day. Tiller explains to his daughter that the deer don’t like sunny weather. But neither is disappointed. After the last bit of light disappears, Tyler picks up the rifle, Taylor grabs the bipod and they head back to the truck. “Well, at least it was fun just coming out,” she whispers to her dad. Taylor Tiller, left, and her father Tyler look out as dusk falls. Deer hunters are helping out Missouri families again this year. Since 1992, the Share the Harvest Program has collected more than 3.5 million pounds of venison from deer hunters across the state. 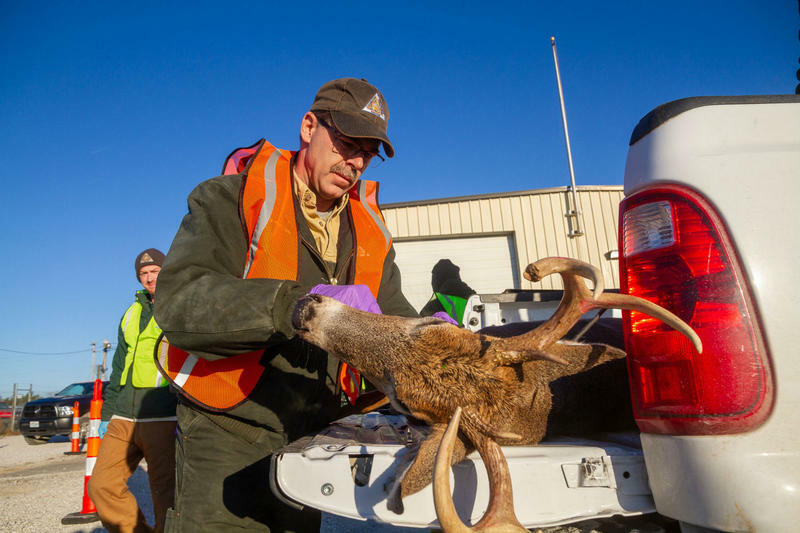 The program aims to lessen the burden of food insecurity for people by distributing deer meat to hundreds of food banks throughout the St. Louis region and statewide. 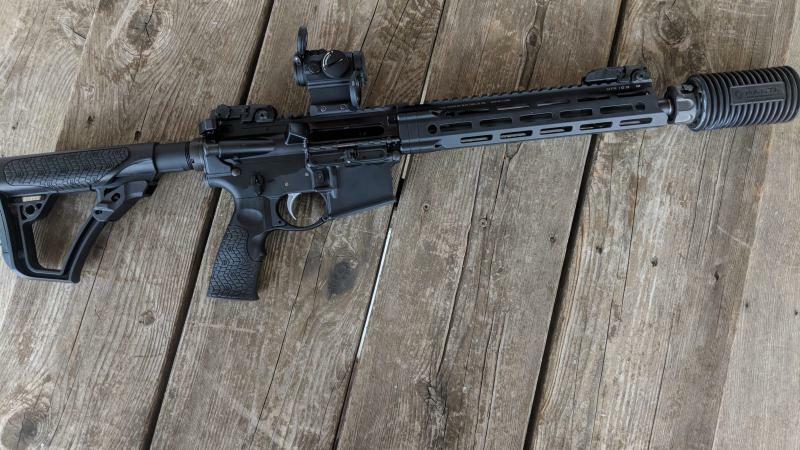 It’s a collaborative effort between the Missouri Department of Conservation, the Conservation Federation of Missouri, meat processors, hunters and local organizations.